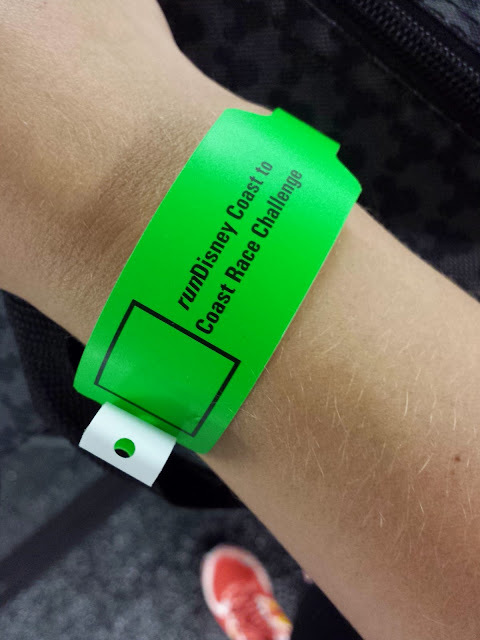 My runner's high is fading, which means it's time to start the race recaps! This year, there were 5 of us at the races, so we've got them all covered. But...I'm getting ahead of myself! 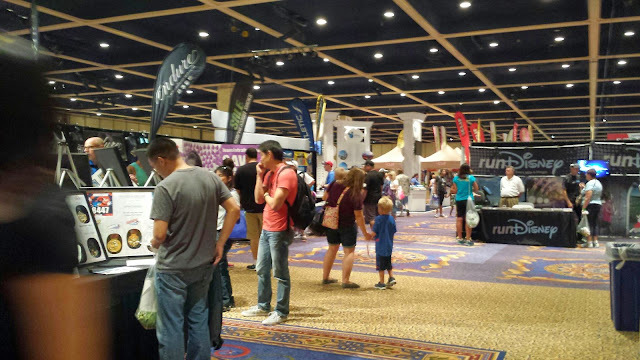 Before you run, you must SHOP, so let's first explore the expo. If you hadn't previously heard, the 2013 expo was a HUGE disaster! 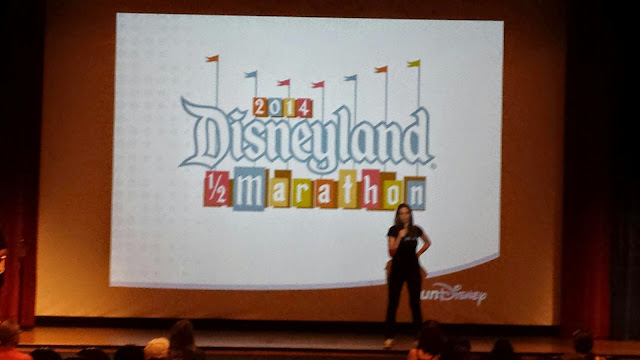 I won't get into the negativity, but I have to give MAJOR kudos to runDisney for a job well done this year. They really listened to the feedback and made so many improvements. My credit card didn't like it as much, though, because with all the improvements, I was able to buy way more stuff! We attended the expo after the 5k race. We got in a little after it opened at 9, but our family got in even earlier. They opened the expo about 30 minutes early! Immediately I noticed a huge difference from the year before! We started the expo with New Balance, who's new virtual queue worked perfectly! We were in group 1 (which allowed us to get shoes first). I showed my confirmation text, got in a very short line, and was helped within minutes. I walked away with two new pairs of runDisney shoes. That was the start of my shopping downfall! ﻿﻿ Next we headed to get our bibs. They were still downstairs, but there were no lines and I was easily able to pick up my bib, coast to coast wristband, and pre-ordered pins. Then there was a short walk up the ramp to get into the expo right where you pick up your shirts. No lines. Really cute shirts. My hubby was even able to easily exchange his size. Seriously people--a complete 180 from last year! 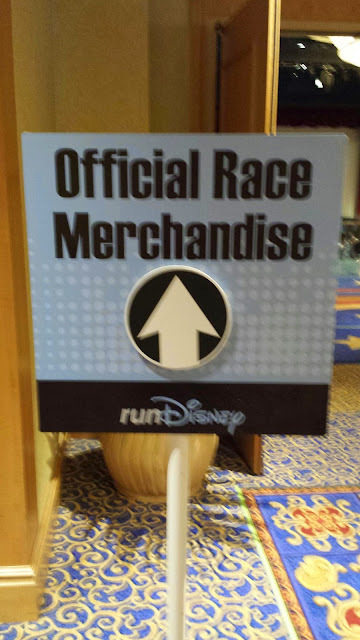 I had a list, so I got what I needed (some Bondi Bands, a new Sparkle Athletic skirt, etc) then finally headed to the official merchandise booth. Now, I was pretty optimistic here, but I never expected to be able to buy so much! 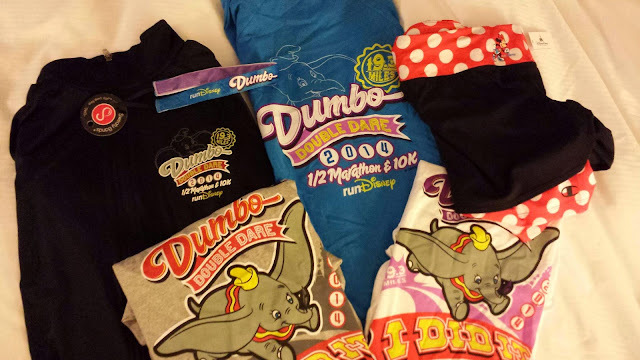 We ended up with our hands full of jackets, t-shirts, headbands, even a Minnie running skort! Yep, they got LOTS of my money. And checkout--no line there either! Just SOME of what we bought! Before long we were on our way with our arms full of runDisney goodies! Straight to the parks we went! In and out of the expo in less than 2 hours. 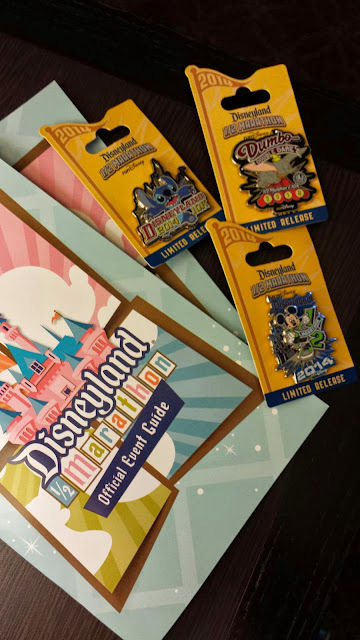 Thank you runDisney for making it all seamless!! !